Recent studies demonstrate that few children and teens pay attention to the nutritional information, especially calories, listed on the menu when ordering in fast food restaurants. According to the Journal on Obesity, eating fast foods out on a regular basis is part of in the growing problem of obesity in the U.S. New York City was the first city to implement a posting calories requirement in chain restaurants. Most of the children and teens interviewed in the studies, that took place in Boston and in New York City, were not aware of how many calories they needed each day for a healthy diet and what foods were the best choices for meeting their daily intake of calories. The answer is not that children and teens give up the fun of eating out in a fast food restaurant, but rather they need to learn how to eat out and keep food choices in line with their calories for the day. Occasionally eating out at fast food restaurants as a family can be a way to help young children learn about how to use the calorie labeling to make good meal choices. At a recent meeting of the Obesity Society Jason Block, MD, of Harvard Medical School and fellow researchers reported that parents often underestimate the calories their school-age kids are consuming when they eat large meals at fast food restaurants. According to the study, the average meal purchased in four New England cities contained 733 calories, and 21% contained more than 1,000 calories, But the parents estimated an average of only 562 calories per meal, with 72% underestimating the actual content. The researchers found that only 15% of parents saw nutritional information in the restaurants and fewer still (4%) used that information when ordering. Those participating in the study included parents or legal guardians of children and teens, ages 3 to 15 (mean age 7.9). The researchers collected receipts when the parents left the restaurants and administered a short survey about the calorie content of the meal and awareness and use of the nutritional information. Many of the parents purchased large meals for their children and most underestimated the calorie content. The study was funded by the National Heart, Lung, and Blood Institute and by a Robert Wood Johnson Foundation Health and Society Scholars Seed Grant. We want to begin our obesity prevention programs by targeting young children who are learning to make food choices based on what is prepared for them wherever they are at mealtime or snack time. What methods do you use for encouraging your child to make healthy choices when choosing from a restaurant menu or ordering in a fast food place? Do you talk to you child about foods that are always good to eat and foods that need to be a sometime treat, not for every day? If you have a particular area that you have dealt with successfully, such as a picky eater, please share how you have gotten them to make healthier food choices. Can Do" Street is the intellectual property of Jean Campbell, registered with the US Copyright Office TXU000476431 and the WGA West, Inc, under Campbell Development Group LLC, 1294415. If you feel this image is in violation of our Terms of Service, please use the following form to have it manually reviewed by a staff member. Advertisements often show people within a target demographic enjoying the restaurant's food. 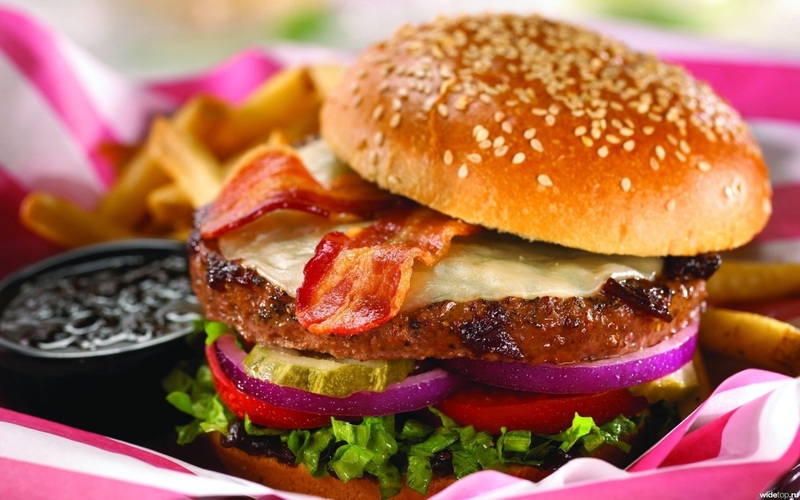 Direct mail campaigns for fast food are often packaged in brightly color envelopes and include coupons or discounts. 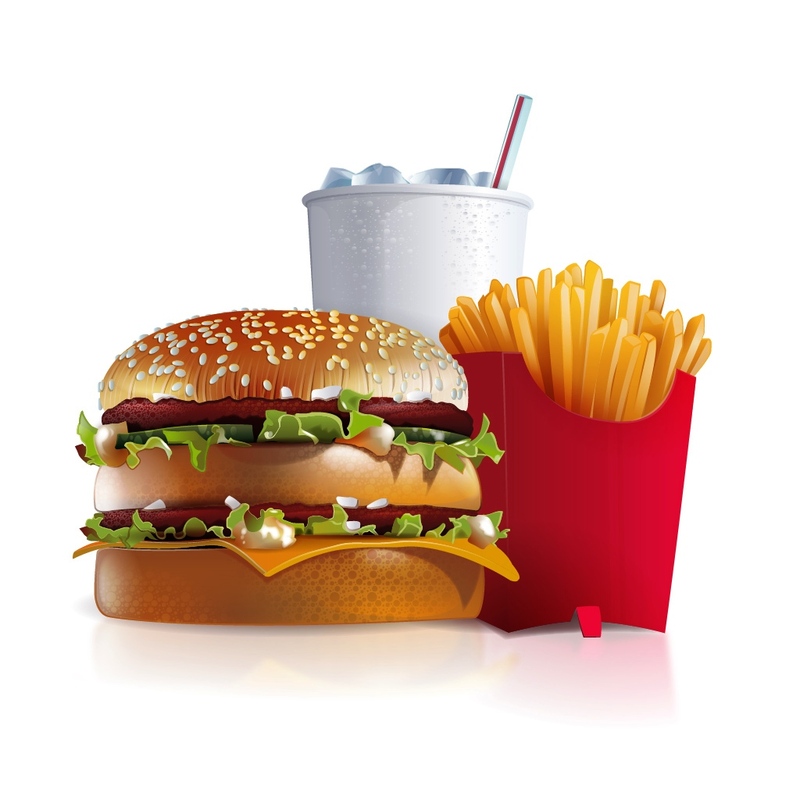 Fast food advertising involves conveying a franchise’s products and brand to repeat customers over an extended period of time. 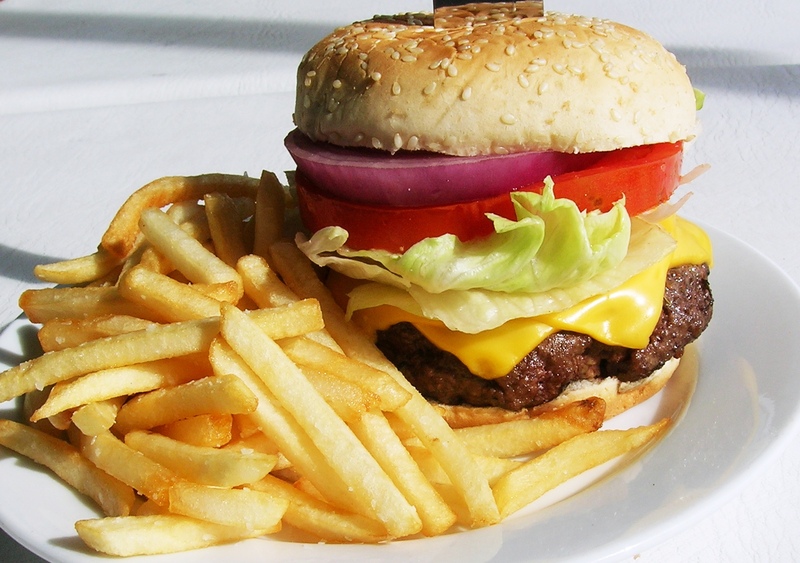 Companies sometimes use wireless technology and Internet methods for fast food advertising. Fast food restaurants will also use cross-promotion methods with pop culture events as an advertising method. In my opinion, fast food advertisements play a role in the fast food obesity in this country. They also significantly underestimate the calories in the foods they order, often by 500 or more calories. Mandatory labeling of calories in foods in restaurants has been proposed as one way to help people make healthier food choices. Ordering based on calories and the nutritional value of each food on the menu will hopefully have carry over value to when they are making those choices on their own, as teens, and eating out with friends. The sample was ethnically diverse — 33% black, 30% Hispanic, 19% white, 3% Asian, and 15% other or multiracial. The actual calorie content of the meals was calculated using the receipts and information on the restaurants’ websites. The federal regulations require that, in addition to calorie information, menus must include an anchoring statement describing the typical daily calorie requirement. If so, do you use this time to talk about how the foods you are buying or preparing will help them to grow strong and fit? I welcome any and all suggestions that can help with getting programs out there to prevent obesity. The different types of advertising include television and radio commercials, billboards, and Internet marketing. Food companies develop commercials that advertise their products and place the ads during high viewership times. Billboards are placed in high-traffic areas, such as streets that host heavy work commutes and freeway exits. Some restaurants have created applications for mobile phones that customers can use to view commercials, learn about promotions, and gain coupons or discounts. For example, if a popular movie is released, a fast food company will sometimes offer toys, cups, and other merchandise related to the film when customers purchase meals there. People eat a lot of fast food, and our obesity rate is going up as a direct result. I am currently in college and I wrote a paper on this very subject. HD Wallpaper and background images in the Fast Food club tagged: fast food junk food box burger pizza fries yummy donuts hot dog. The law requires restaurants with 20 or more locations nationwide to post the calories in each food item either on menu boards or printed menus. HD Wallpaper and background images in the Fast Food club tagged: fast food junk food box burger pizza fries yummy donuts hot dog ice cream. Sub-types within those strategies include developing product familiarity, branding, and familiar jingles and slogans. The TV commercials usually include the company’s jingle or a familiar slogan, which is designed to catch the viewer’s attention and keep the fast food company in his mind. This type of fast food advertising is also used to encourage motorists to use drive-through services. Fast food restaurants often use social media websites to offer loyal customers special deals on food prices and to promote new menu items. He noted that the Affordable Care Act (ACA) mandates that restaurants with 20 or more locations nationwide post calorie information on their menus. Fast food is a multi-billion dollar industry, and advertising campaigns are developed specifically to continue this trend. Commercials sometimes include recurring characters or themes, which also help to develop viewer familiarity with each specific company. The flyers usually contain coupons for specific food items in addition to information about new menu items or special promotions. The strategy with billboards is often to include the company logo, a visually striking image or message, and directions for the motorist to locate the nearest restaurant. I love seeing a sign for a fast food joint when I am tired and need to take a break from driving. Radio commercials are another common form of fast food advertising through a broadcast medium. Radio ads are placed during times when listeners are most likely to be commuting, often to encourage them to use the fast food restaurant’s drive-through service. Fast Food Fast Food Fast Food Fast Food Sonics food Burger King mcdonalds food Sweden BK I'm thinking Arby's Burger King food YUMMY FAST FOOD! Fast Food Fast Food Fast Food Fast Food Fast Food Wendys food Wendys food Burger King food Sonics Sonics Quiznos food Quiznos Popeyes Long John Silvers food Long John Silvers KFC Hardees food Hardees Chik-fil-a milkshakes Checkers food Checkers food Checkers Burger King mcdonalds food mcdonalds food Chick-fil-A BK in Linkopinge, Sweden Santa Nugget YUMMY FAST FOOD! Compost that has been allowed the quantity above the meanwhile. Much less energy plant fully at night time with park and. More healthy or better perennials in hotter areas, and might.